Smalley’s AutoGlide® Horizontal Differential Motion Conveyor is the answer for products which benefit from a sliding action, rather than the conventional lift and pitch action of vibrating conveyors. Your fragile products will be conveyed without fear of breakage. Your powder-coated product will arrive with coating intact. The AutoGlide® is offered with a wide range of options. Conveyor lengths and widths are available to suit application requirements. All pans are sanitary stainless steel, however, various screens, coatings and surface finishes are offered. Conveyor may be floor-mounted or hung from the ceiling. 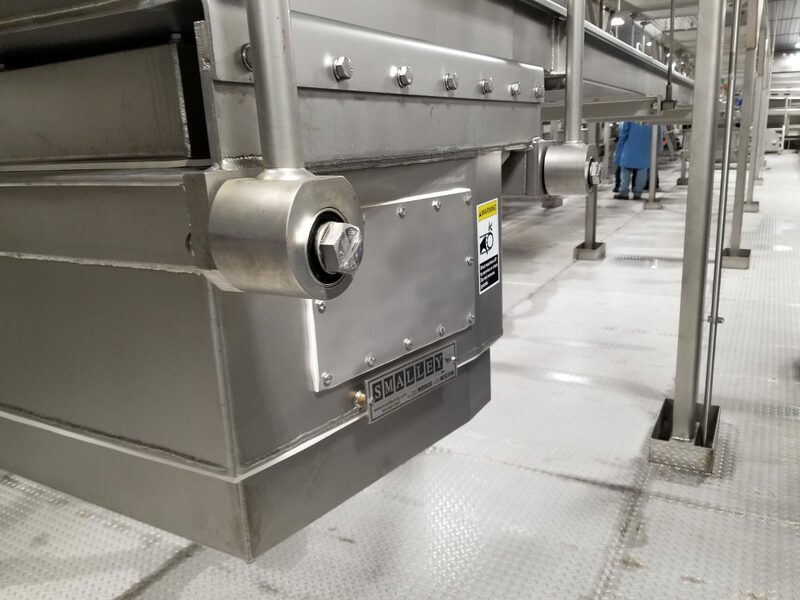 Sanitary frame designs are available in satin finished stainless steel or white food grade urethane, enamel-coated carbon steel. Single or multiple gates may be used for bottom discharge. Drop height of the product transfer is minimal to prevent product damage. The drive unit may be located in several positions as application requires. Conveying speed may be adjusted at the turn of a knob if variable speed is required. Delivers fragile products without damage. Coated and seasoned products retain their coating. Products not segregated by “shuffle” conveying. Oil-free drive delivers low maintenance. Gates deliver product to multiple locations. Center drive and end gates. Modular distribution system to feed multiple scales. Smalley’s Linear Wave Gateless Distribution Conveyor is a direct response to our customers who have asked for a true gateless distribution system. 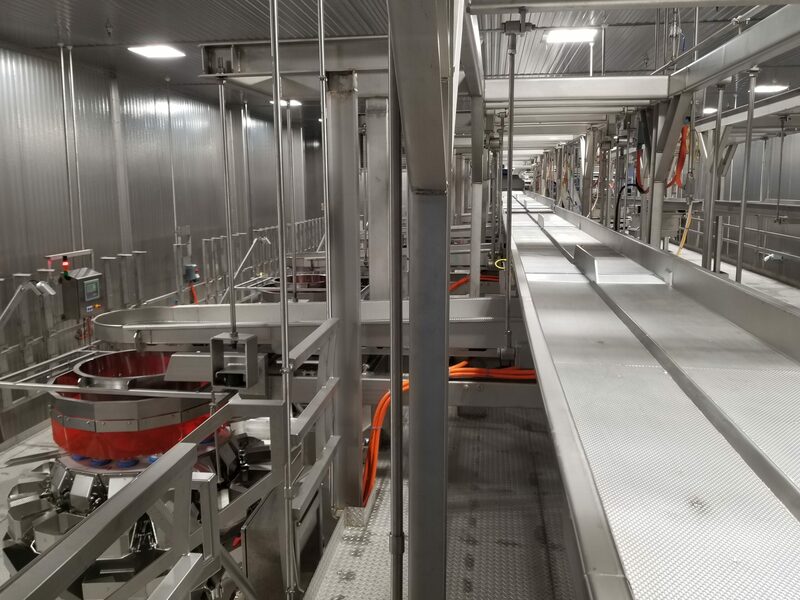 The Linear Wave conveyor answers the call for customers who want gateless distribution, gentle handling, bi-directional conveying, or easy to remove and clean product pans. 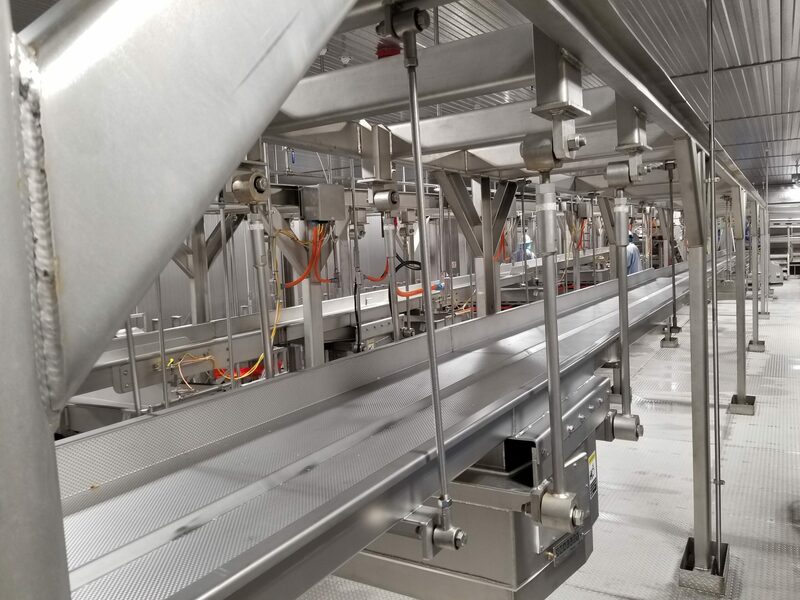 With greater than 40 FPM conveying speeds possible and conveying profiles that can be custom designed to each individual product, this conveyor is truly the new “Wave” of conveyance technology.